These superb sweepers attract and hold fine dust without the complication of chemical treatment. Ideal for a variety of hard floors including wood, marble, stone, and tile. Lightweight, efficient and easy to use. These dust control sweepers feature a "break frame" and use colour coded floor sweeper heads. 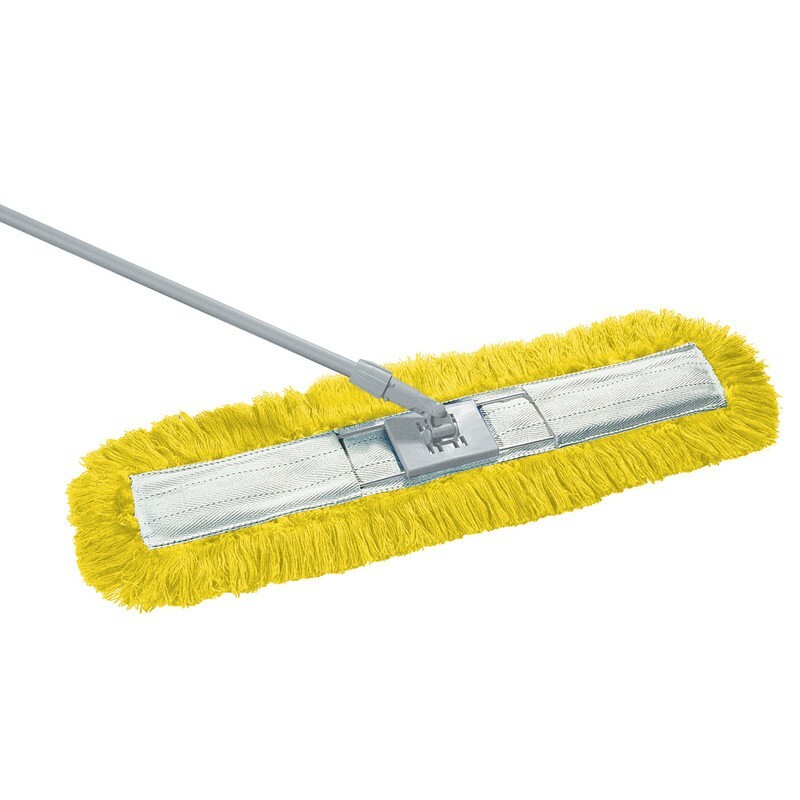 The sweeper also features a lightweight aluminium handle with universal socket. Also available in 60cm and 80cm versions, replacement heads are also available. Synthetic acrylic heads are easy to launder. Available in blue, green, red and yellow. Environmentally friendly as no chemicals are needed. Can be used as part of a colour coded cleaning system.